Alarmingly, the World Health Organization now considers depression as the leading cause of ill-health and disability worldwide. And for a great number of the people suffering there are simple, free and non-pharmaceutical ways of managing their mental health. 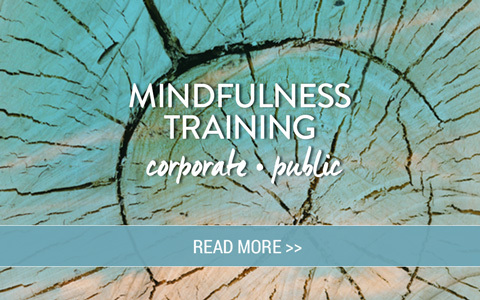 Much of the research in the field of mindfulness explores the impact of thirty to forty-five minutes of meditation a day on physical and psychological wellbeing. Excitingly, in my own scientific research I discovered that just ten minutes a day of mindfulness meditation over one month was enough to support more positive emotions, reduce stress, increase self-compassion and strengthen focus in daily life. There’s plenty of examples in the scientific literature that explain why mindfulness is not just a fad, but will continue to be further integrated into our home and work life. One study by Richie Davidson, demonstrated that with regular mindfulness practices, the electrical brain activity shifted from right to “left-sided anterior activation,” indicating a transition to more positive emotional states. Simply put, meditation leads to greater happiness. And a groundbreaking study found increased amounts of an enzyme that protects DNA from age and stress-related damage among regular meditators, suggesting that meditation can protect the cells from age-related damage. Although genetics undeniably has an influence on our mental health, the new science offers a more empowering perspective, where we can, to some extent, become sculptors of our own brains by practising mindfulness. When we practise worrying, the worrying circuits of the brain are reinforced. When we practise gratitude, the brain becomes more capable of noticing the good in our lives. When we practise mindfulness meditation, it forms new neural pathways that support focus, calm and emotional balance. I wanted to share a few easy methods you can implement to deal with stress in your life through mindfulness practices. You breath is intimately connected to your nervous system. Use it to your advantage when you’re feeling stressed to calm yourself down by slowing your breath and extending your exhalation. This will quiet your entire nervous system, keeping you calm rather than reactive, and helping you make better decisions about what is needed. Neuroscientific research demonstrates that when we’re stressed, talking or writing about how we’re feeling helps us to calm down. As we become more mindful of difficult emotions, we reinforce neural pathways that help us remember to pause when we’re in the heat of an emotion, and use the most evolved part of the brain, the prefrontal cortex, to calm ourselves down. Although when we’re stressed the last thing we want to do is stop and meditate, research shows that meditating for just ten minutes can help you be more focussed and effective. Give your mind a ten minute holiday and it will reward you with a powerful return on investment of greater focus, clarity and effectiveness.